According to a study carried out by Mastercard, Dubai is among the top 10 Tourist destinations in the World. Approximately 8 million international tourists will visit Dubai in 2011, which will rank the emirate at No. 9 in terms of visitor arrivals out of 132 cities across the world. The global payment giant’s new index of Global Destination Cities believes Dubai will receive 7.9 million inbound passengers this year, ahead of other global tourist hotspots such as New York (7.6m), Amsterdam (7.4m) and Kuala Lumpur (6.9m). The report predicts Dubai’s visitor arrivals would grow by 17.3 % this year – 6th best growth rate among the global Top 20 – and that the visitors would collectively spend $7.8 billion in the emirate, which works out to an average spend of more than Dh3,600 per visitor. Interestingly and contrary to popular perception that Dubai receives most visitors from the Indian subcontinent, the MasterCard report lists London as the most important city of origin for the emirate of Dubai both by visitor arrivals and visitor expenditures. 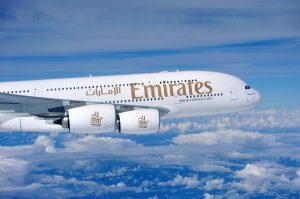 In 2011, the report estimates that close to a million visitors (926,000) will land in Dubai from London, and spend $876m in the emirate. Following London as a key source market is Kuwait, with 343,000 visitors believed to arrive from there and expected to spend $373m in Dubai in 2011. While there is no surprise that visitors from London and Kuwait are both the biggest in number and the highest in their expenditures in Dubai, it is interesting to note that Beijing now ranks 3rd in both number of visitors to Dubai and how much they spend here. Tourists to Dubai from Beijing will reach 300,000 and are expected to spend $334 million in Dubai in 2011, according to the MasterCard study. This makes the Chinese tourists the most lucrative for Dubai, with per capita spend by Chinese tourists the highest at Dh4,092 per tourist compared with Dh3,477 per average British tourist and Dh3,996 spent by every Kuwaiti tourist. Frankfurt and Paris are among the other top 5 source markets for Dubai, with 278,000 and 262,000 visitors expected to spend $245m and $221m, respectively, or an average per capita spend of Dh3,239 and Dh3,100, respectively . Overall, visitor expenditure in Dubai is reckoned to increase by almost a quarter (24 %) this year, ranking Dubai 3rd in terms of growth rates of visitor expenditure among the top 20 destination cities, behind Istanbul (30.1 % growth in visitor expenditure) and Barcelona (28.2 %), and ahead of key Asian destination cities of Singapore and Hong Kong, which are expected to grow by 23.9 and 23.6 %, respectively. In the Middle East and Africa, Dubai is ranked 1st among 21 cities from the region, and is the only destination city from the region that is in the world’s top 20 by visitor arrivals.